Frequently presented as a historic last chance to set the world on a course to prevent catastrophic climate change, the 21st Conference of the Parties to the Climate convention (COP21) was a global summit of exceptional proportions. Bringing together negotiators, scientists, journalists and representatives of global civil society, it also constituted a privileged vantage point for the study of global environmental governance « in the making ». 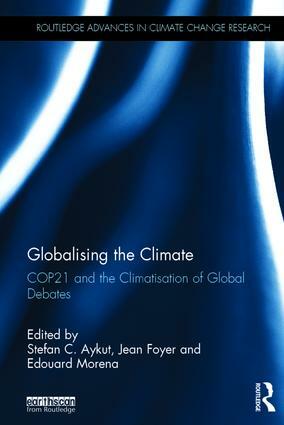 To examine the « climatisation » of a series of crosscutting themes, including development, energy, security and migration. This book will be of great interest to students, scholars and policymakers of climate politics and governance, international relations and environmental studies. Enhancing work practices within risky environments. De l’arbitraire à l’arbitrage: les indicateurs de la S&T en débat.